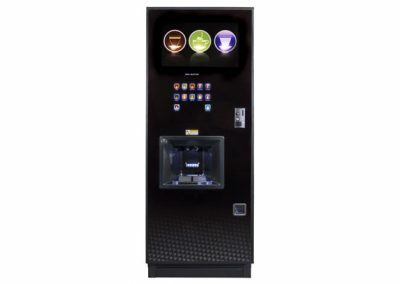 The Crane CALI is new for the 2019 model year and represents a pinnacle of experience for the Crane platform. 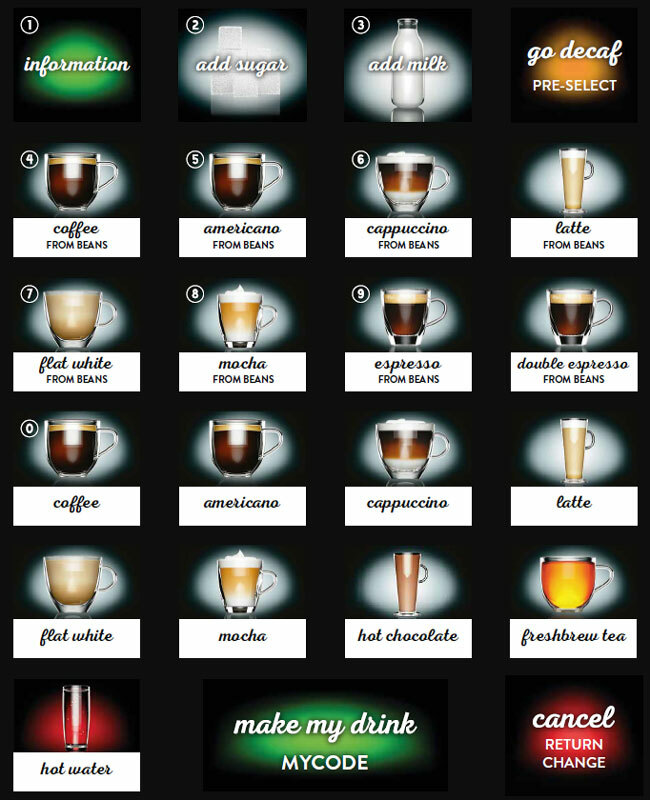 It provides up to 28 barista-style coffees, freshly-brewed leaf tea and warming hot chocolate according to model. 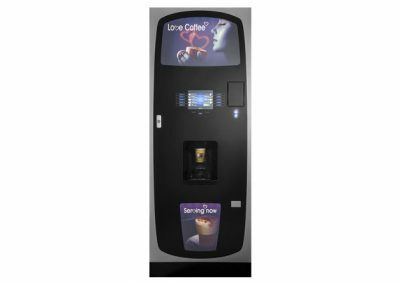 There is a choice of either instant, fresh ground or fresh bean coffee for the base of drinks such as cappuccino, latte, espresso and macchiato. 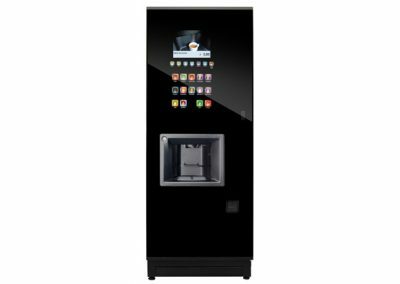 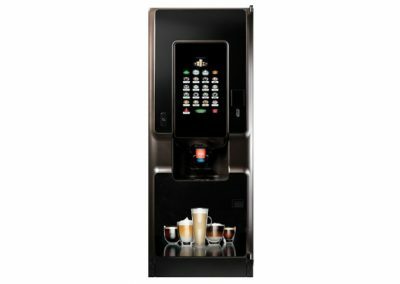 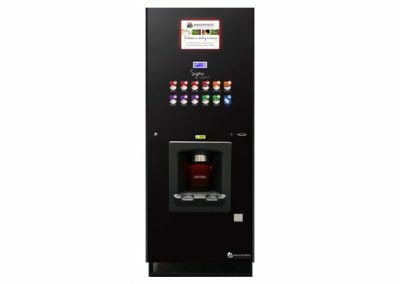 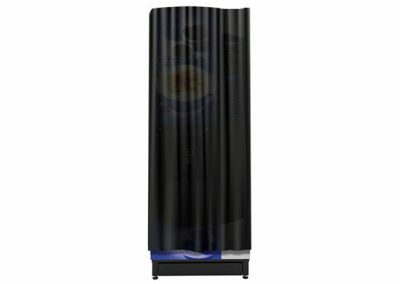 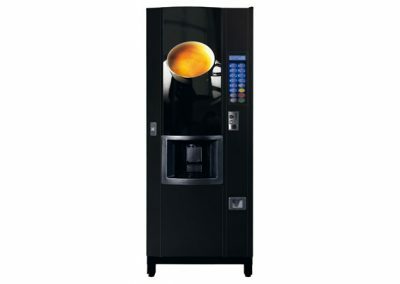 The impressive drinks menu is combined with an 800 cup capacity, easy touch button pictorial interface (please see image below) and class-leading energy efficiency. The Crane platform is well-tested and reliabilty is built-in.